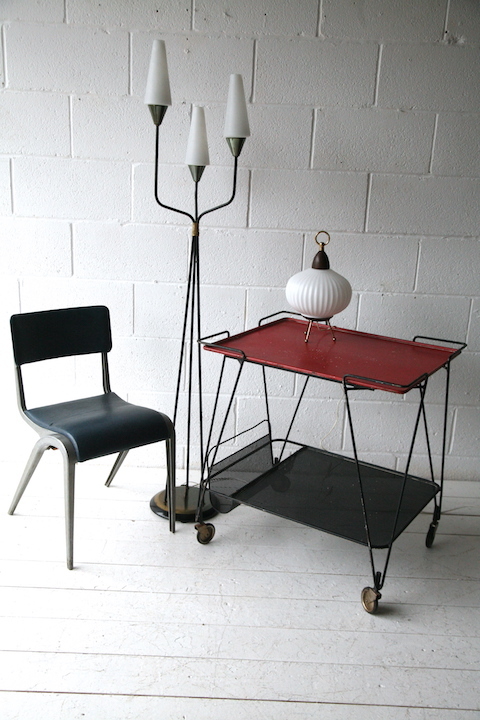 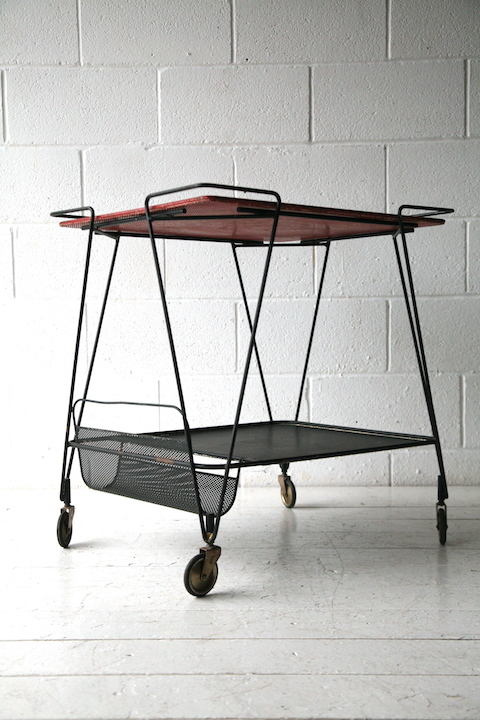 An original 1950s French trolley by Mathieu Mategot. 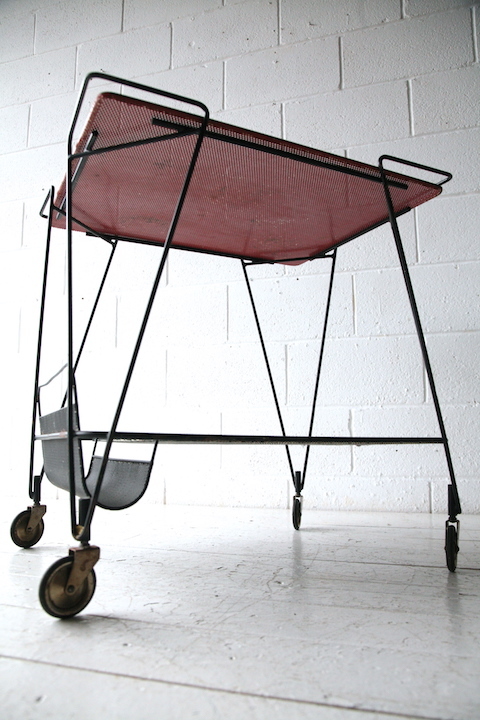 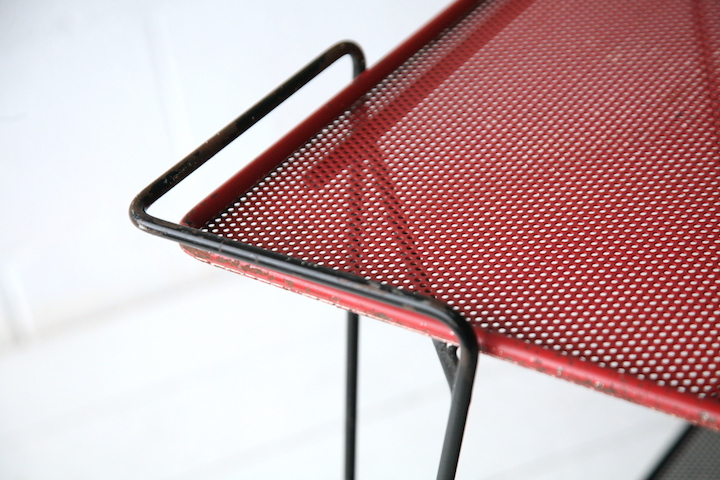 A steel framed trolley with perforated metal surfaces. 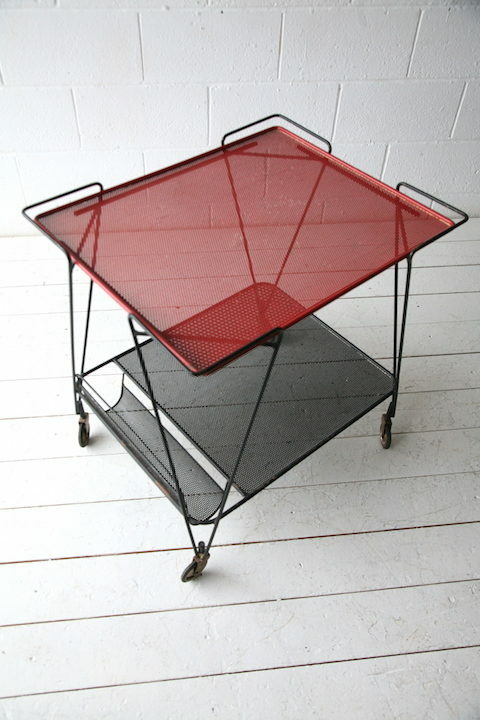 The red top shelf is removable. 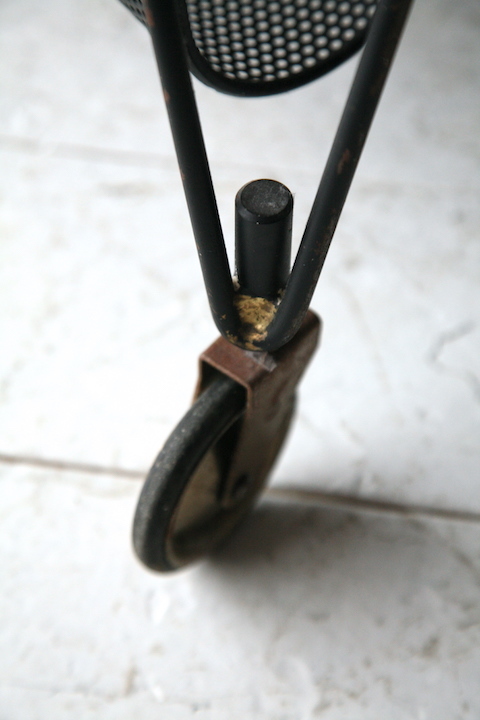 In good vintage condition with some wear and signs of use.